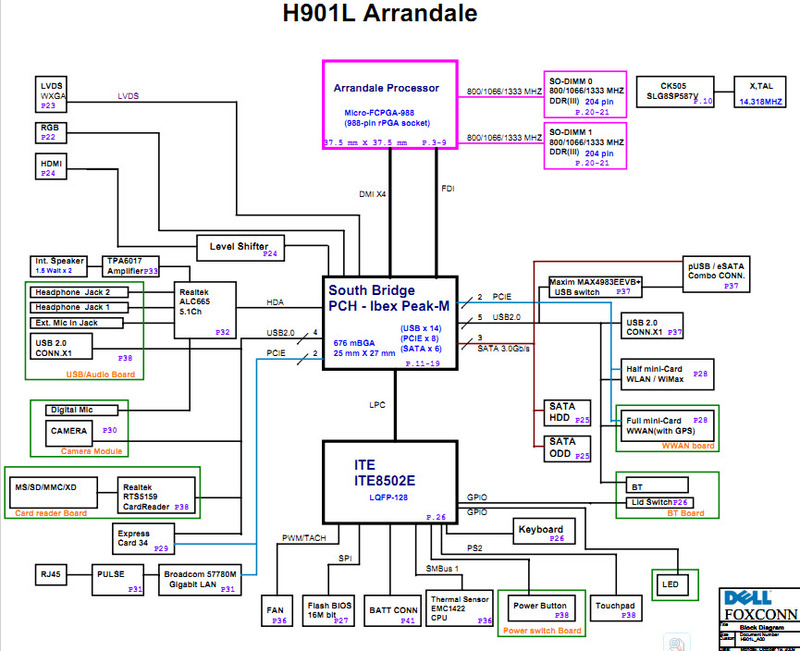 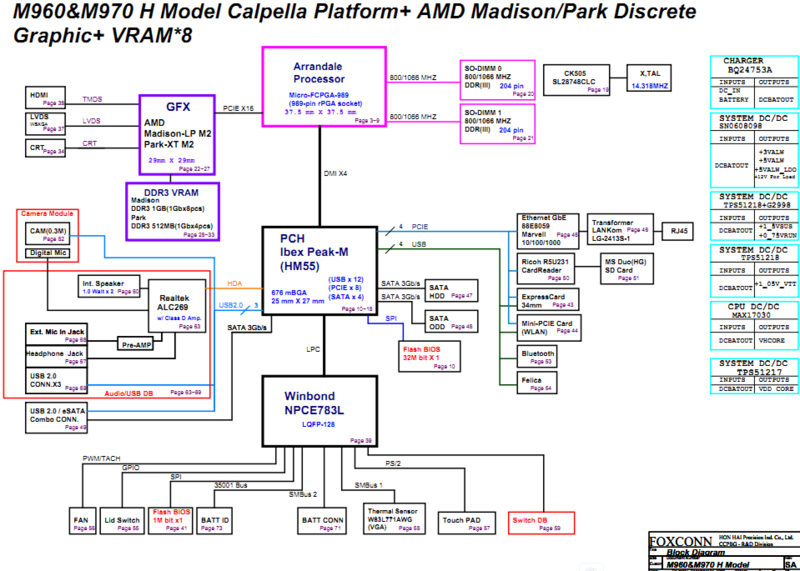 The motherboard schematic for Dell Adamo XPS 13 laptop/notebook, Foxconn H800 Main Board. 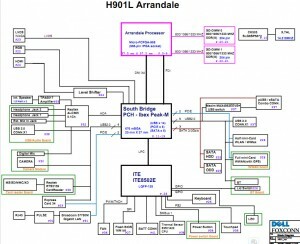 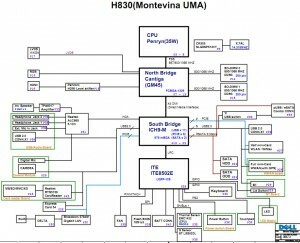 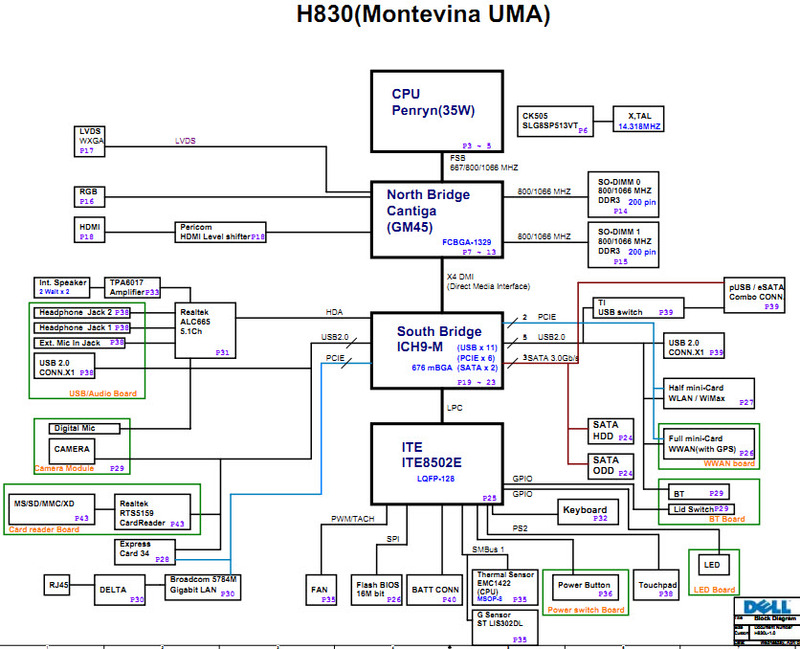 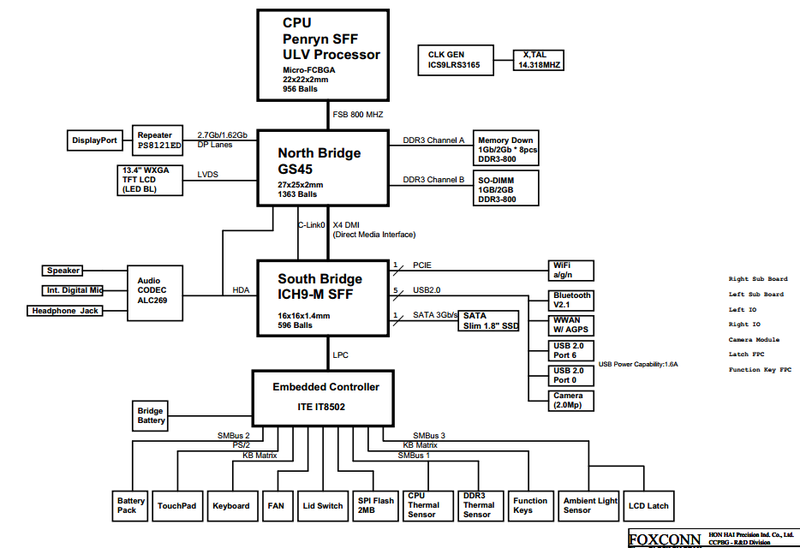 The motherboard schematic diagram for HP Mini 210-2003e, HP Mini 110-3601er netbook, Foxconn Edwards1.1 and Nano1.0 UMA. 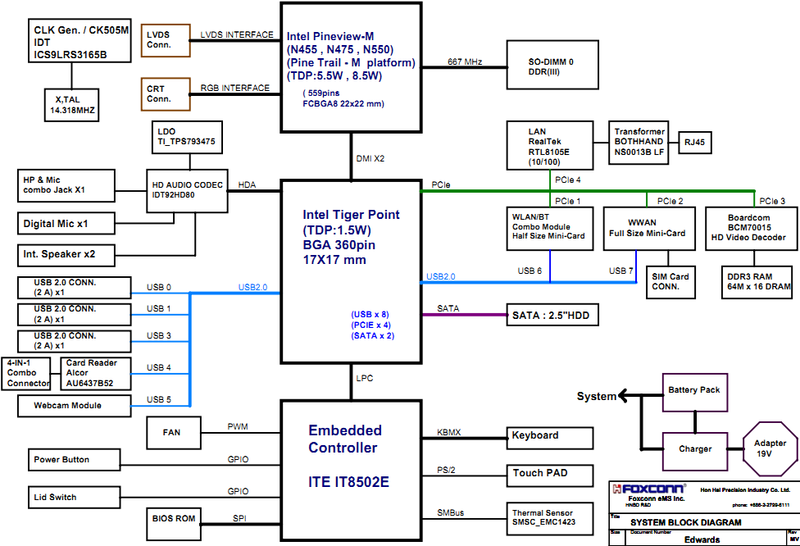 The motherboard schematic for Sony Vaio VPC-M Series laptop/notebook, Sony M9F1 Main Board. 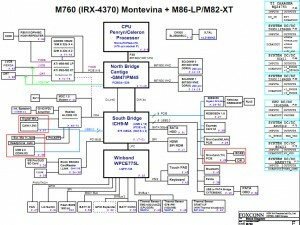 The motherboard schematic for Dell Vostro 1450 laptop/notebook, Foxconn H901L Main Board. 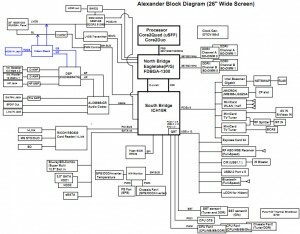 The motherboard schematic(.pdf) and Power Sequence(.pdf) for Dell Studio 1450 laptop/notebook, Foxconn H830L-1.0 Main Board. 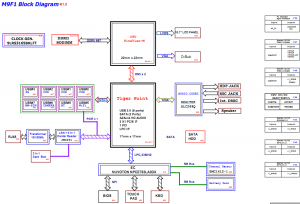 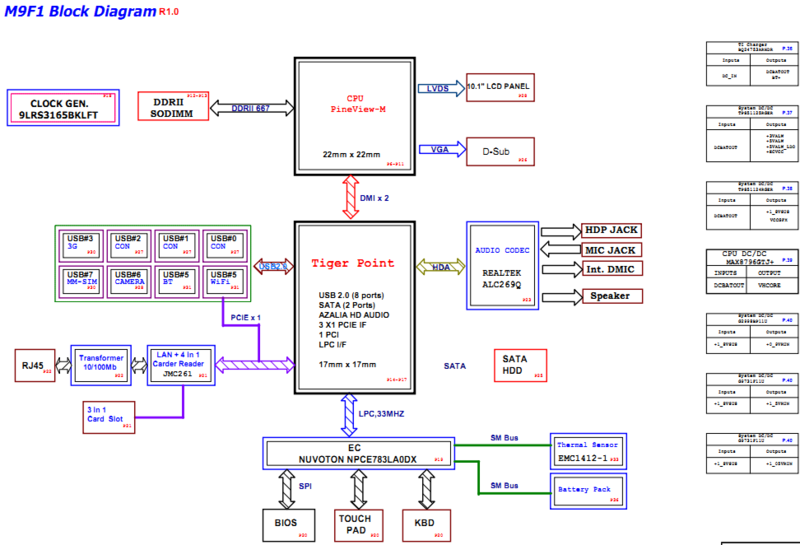 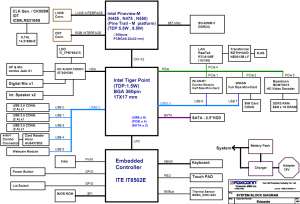 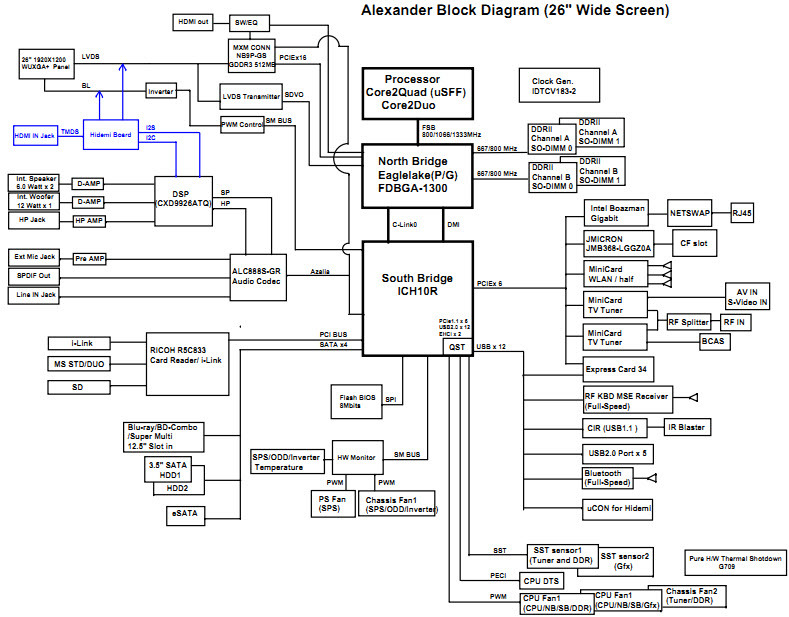 The schematic diagram for HP G62, Compaq CQ62 laptop/notebook, Foxconn STAR (Federer). 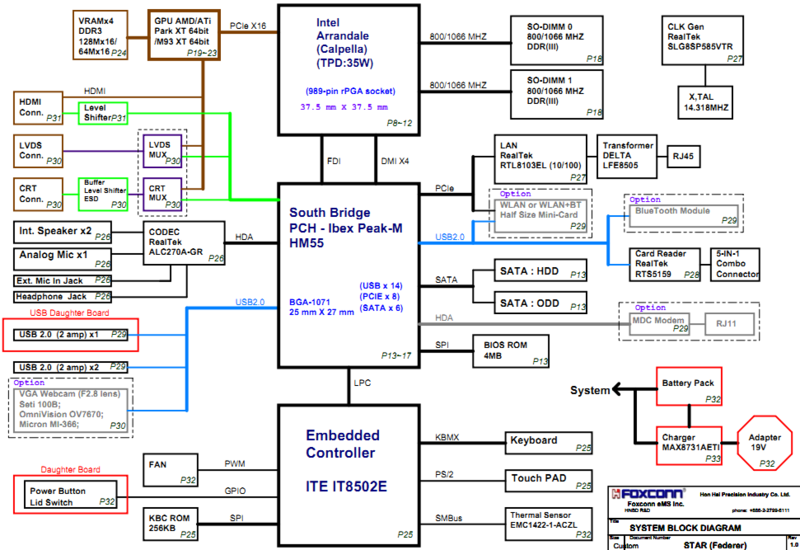 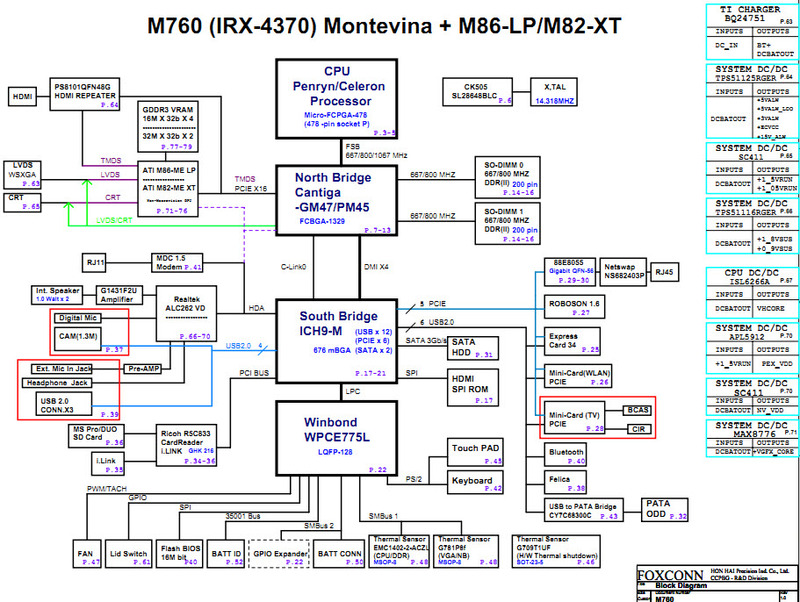 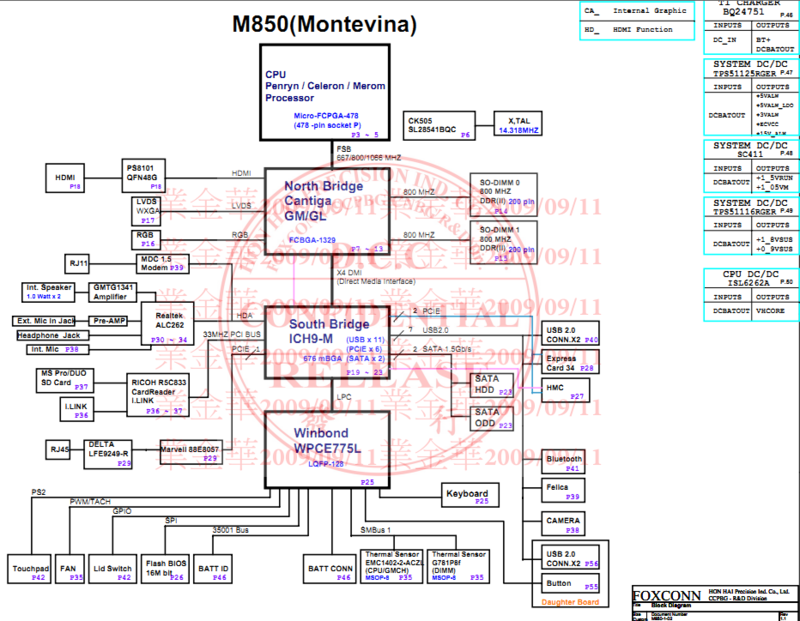 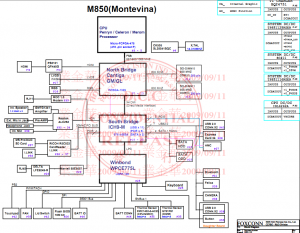 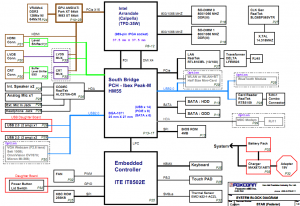 The motherboard schematic for Sony M850-1-02 Main Board. 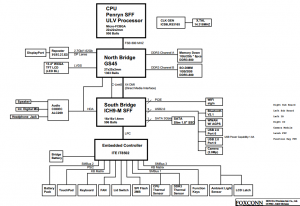 The motherboard schematic for Sony Vaio VPC-EA Series, Sony Vaio VPC-EB Series, M960 Main Board. 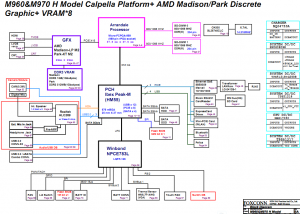 M960&M970 H Model Calpella Platform+ AMD Madison/Park Discrete Graphic+ VRAM*8.